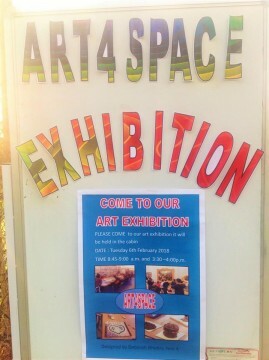 It’s been a lot of stuff happening at Art4Space since February! 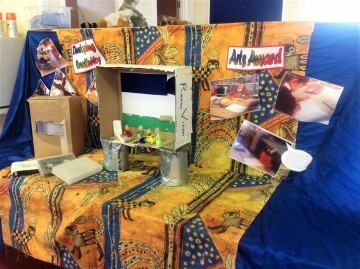 We did our exhibition at Herbert Morrison Primary School – showcasing the children’s work from our Why Art Matters programme. Amazing art work created by the children! Big thanks to the Walcot Foundation for funding the programme! Attending Why Art Matters has really helped the children engage in their normal classroom environment. 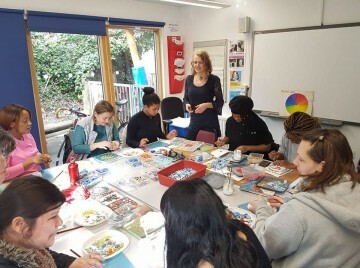 To celebrate women’s day, together with LEAP we invited parents in Lambeth to join us for mindful mosaic on the morning of 8th March at St. Stephen’s Children’s Centre. We also completed another commission in March! This is part of South London Theatre now! Thanks to designer Leah and the installation team! On Good Friday we took part in the Ideal Home Show at Olympia in Hammersmith. 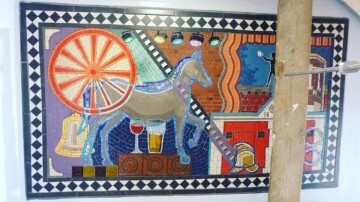 We showcased a taster of our mosaic class. 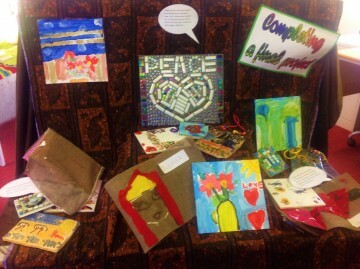 This was supported by Obby, which we promote our Mosaic and Tile-Making drop-in classes through. 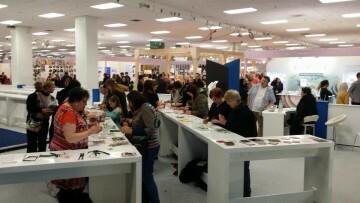 Lots of people attended and we also spread the word about our mosaic design to different design firms. Speaking of our mosaic and tile-making classes; We’ve got some fantastic projects on the go at our Tuesday evening mosaic class. 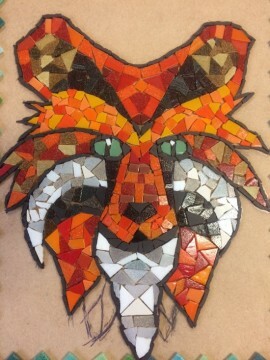 This amazing wolf was made by one of our students who had not tried mosaic before! This is achievable when joining our 5 or 10 weeks classes!